New Delhi: The Cabinet Committee on Economic Affairs chaired by the Prime Minister Shri Narendra Modi has approved the increase in supervisory visit charges for ASHA Facilitators from Rs. 250/-per visit to Rs. 300/- per visit for 2018-2019 to 2019- 2020 w.e.f from October 2018 (to be paid in November 2018). ASHA Facilitator will undertake about 20 supervisory visits per month. With the proposed increase, ASHA Facilitators would receive about Rs 6000 per month against Rs 5000 per month that is an increase of Rs 1000/- per month. Enrolment of ASHA facilitators under Pradhan Mantri Jeevan Jyoti Bima Yojana and Pradhan Mantri Suraksha Bima Yojana as part of ASHA Benefit package. To motivate ASHA facilitators to perform better, the supervisory visit charges for ASHA Facilitators has been increased from Rs. The 250/-per visit to Rs. 300/- per visit w.e.f from October 2018 (to be paid in November 2018). With the approved increase, ASHA Facilitators would receive about Rs 6000 per month against Rs 5000 per month, that is an increase of Rs 1000/- per month. 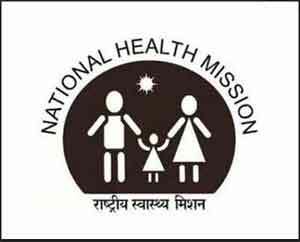 The existing institutional mechanisms for the National Health Mission (NHM) would be utilised to implement the decision. The proposal entails an estimated additional expenditure of Rs.46.95 crore comprising of Rs 15.65 crore during 2018-19 (for six months) and Rs.31.30 crore during 2019-20 as central share. Coverage of 10, 63, 670 ASHAs and ASHA Facilitators under Pradhan MantriJeevanJyotiBimaYojana (PMJJBY) and Pradhan Mantri Suraksha BimaYojana. Increase in routine and recurring incentives from Rs 1000/- per month to Rs 2000/- per month to benefit 10, 22,265 ASHAs. This will be implemented as part of the ASHA Benefit Package approved in September 2018. As part of the support mechanism, an ASHA facilitator is in place for between 10 to 25 ASHAs, to provide hand-holding and mentoring support, and monitor performance. She is a critical link of the support structure network. Substantial progress has been made by states in setting up support structures during the last three years, as states have increasingly become cognizant of the correlation between strong support structures and an effective ASHA programme. The ASHA facilitators are generally selected from amongst the ASHAs themselves. This position also serves as a career opportunity for ASHAs with the requisite qualifications, experience and aptitude. All states except Andhra Pradesh, Himachal Pradesh, Jammu and Kashmir, Kerala, Nagaland, Tamil Nadu, Telangana, West Bengal, Rajasthan and UTs have selected ASHA Facilitators. In these states, on-the-job mentoring support to ASHAs is provided by ANMs or, as in the case of West Bengal, by the Supervisor appointed by the Gram Panchayat or PHC supervisors at PHC level, as in the case of Rajasthan. Over half of the states (11 out of 19) that have ASHA Facilitators have selected them from amongst a cluster of ASHAs, provided they meet all the selection criteria. These include states of Bihar, Chhattisgarh, Jharkhand, Madhya Pradesh, Odisha, Uttar Pradesh, Uttarakhand, Haryana, Karnataka, Punjab and Sikkim. In other states, preference is given to ASHAs in the selection of ASHA facilitators. Maharashtra, Arunachal Pradesh, Assam, Manipur, Meghalaya, Mizoram, Tripura and Gujarat. Goa does not have ASHAs. ASHA Facilitator undertakes about 20 supervisory visits per month. Conduct village visits (comprising of accompanying ASHA on household visits, conducting community/VHSNC meetings, attending Village Health and Nutrition Days). Conduct cluster meetings of all ASHAs in the area once a month. Enable ASHAs in reaching the most marginalized households. Support ASHA training at the block level. Facilitate selection of new ASHAs. Subsequent to the Cabinet approval, representations were received from ASHA Facilitators seeking the increase in the supervisory visit charges. While the benefit of Pradhan Mantri Jeevan Jyoti Bima Yojana and Pradhan Mantri Suraksha Bima Yojana was also provided to ASHA facilitators, ASHA Facilitators have been representing that their supervisory visit charges may also be enhanced which will motivate them to perform better. Make it one country one Rule , INSTEAD giving DIFFERENT & DIFFICULT NAMES FOR THE SAME SCHEME TO CREATE CONFUSION TO EACH & EVERY ONE. LET ROTI BE CALLED AS ROTI & DOSA TO BE DOSA. DO WE CALL PIZZA AS ITALIAN ROTI ? . Try to simply the system , SPECIALLY which is mentioned for the commoman.